You know Transformers, those shape-shifting robot-like toys for boys? Well that’s what comes to mind when I see these nursery pieces that cleverly transform from one thing to the next! Ecologically sound in design and made in France, these sleek bamboo nursery and bedroom finds from Castor & Chouca will grow with your children from the very start. The Mirabelle Nappy Changing Commode is nappy change central. With a change mattress, pivoting drawers for extra clothes and shelves to hold everything else, it transforms to a desk for playing and homework once your baby grows and waves goodbye to nappies. 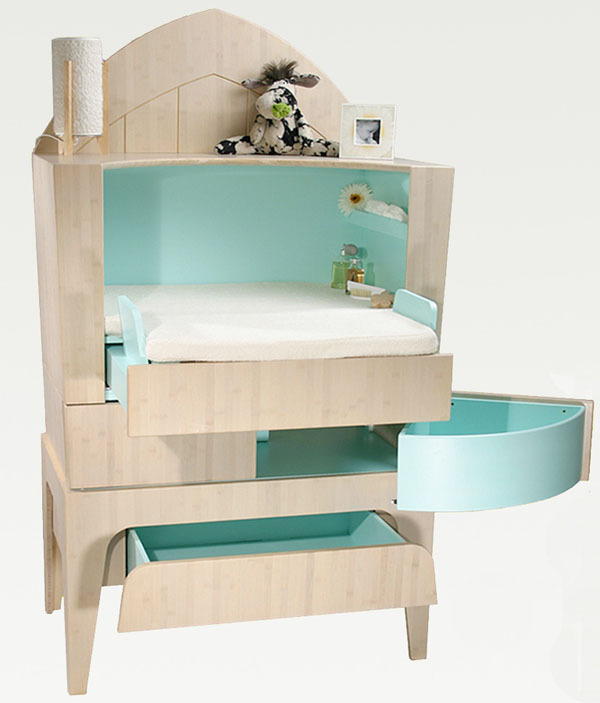 The Mirabelle Junior bed is modern and low to the floor, which is a great safe option for little people. The junior bed can start as a toddler bed option before converting to accommodate a full single mattress. I’d love to have the Mirabelle desk in my own home. 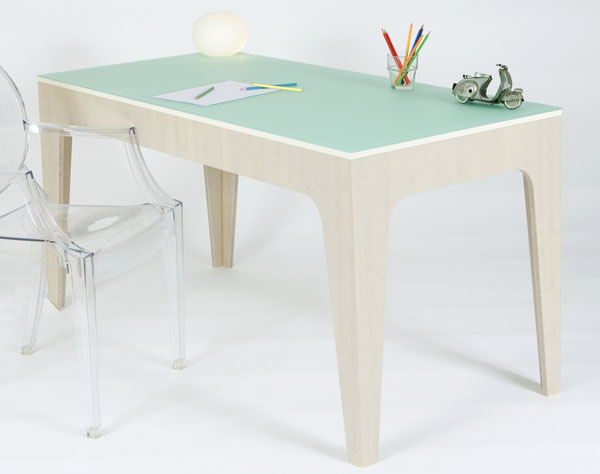 The angled bamboo legs are gorgeous and the acrylic top can be one of six colour options in the Castor & Chouca palette. Admire the whole collection at Castor & Chouca. And don’t forget to check what we’ve said previously about the Soleil baby bed with its gorgeous cut-outs for peeking through and the equally amazing Hop! Hop! Hop! bassinette that can be wheeled around as you please. The Mirabelle Nappy Changing Commode is priced at €3 590, the Junior bed is €1 560 and the desk is €1 250. If you’re keen, delivery outside of France is available on request.